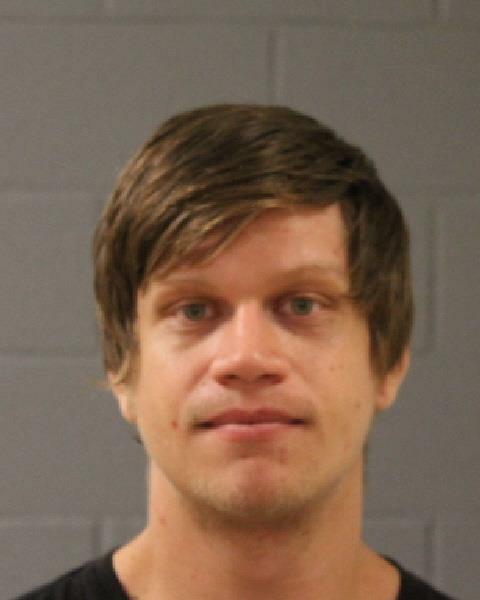 ST. GEORGE — A suspect in a rash of vehicle burglaries Monday evening and the alleged assault of a St. George citizen who tried to intervene has been arrested. Landon Lane Cowley, 27, of Washington City, fled the scene where the alleged assault took place Monday night before officers arrived, but he was located on Mall Drive Bridge and booked into the Washington County Purgatory Correctional Facility Wednesday. The Washington County Attorney’s Office filed an information in 5th District Court Thursday accusing Cowley of three third-degree felony counts of theft and unlawful acquisition of a financial card, three class A misdemeanor counts of burglary of a vehicle and drug possession and five class B misdemeanor counts for assault and possession of drugs and drug paraphernalia. The incident began at around 11:30 p.m. Monday when the St. George Communications Center, which serves as the 911 center for Washington County, began receiving several reports of vehicle burglaries in progress in the area of 900 South and 600 East, according to a probable cause statement filed by St. George Police in support of the arrest. It was reported that a man – later identified as Cowley – was breaking into cars and stealing property, while a woman identified as Alexandra Chance Baker, 21, of St. George, drove him to each location, the report states. A man, who had witnessed Cowley rummaging through vehicles including his own, followed the suspects’ vehicle to the area of 650 South and 600 East. When the man confronted Cowley, he pushed the man, injuring the man’s hamstring before fleeing on foot, the arresting officer wrote in the sworn statement. Police arrived on scene and spoke with Baker, who was still inside the vehicle. Upon searching the vehicle, authorities located a large quantity of items suspected to have been stolen from several different people – some of whom had been identified and some who had not, the report states. Police also located heroin and syringes inside the vehicle. When questioned by police, Baker said she and Cowley had used heroin in the car “earlier in the evening” and that she was aware that Cowley was going to steal property during the burglaries in an effort to obtain money for heroin, the officer wrote. Baker was arrested Monday evening and booked into the Washington County Purgatory Correctional Facility. The Washington County Attorney’s Office filed an information in 5th District Court Tuesday accusing Baker of two third-degree felony counts of unlawful acquisition of a financial card; four class A misdemeanor counts of burglary of a vehicle, theft by receiving stolen property and drug possession; along with a class B misdemeanor count of drug paraphernalia possession. According to Utah court documents, Cowley and Baker both have a criminal history involving drug possession and theft.